In Comodo Internet Security, there are two basic methods in which an application can be treated as safe. Either it has to be part of the ‘Safe List’ (of executables/software that is known to be safe) OR that application has to be signed by one of the vendors in the 'Trusted Software Vendor List'. IF the vendor is on the Trusted Software Vendor List AND the user has enabled 'Trust Applications that are digitally signed by Trusted Software Vendors' THEN the application will be trusted and allowed to run. IF the vendor is not on the Trusted Software Vendor List OR the user has not enabled 'Trust Applications that are digitally signed by Trusted Software Vendors' THEN the application will be sandboxed. If the application in question is an installer then CIS will generate an elevated privilege alert. Software publishers may be interested to know that they can have their signatures added, free of charge, to the ‘master’ Trusted Software Vendor List that ships to all users with CIS. Details about this can be found at the foot of this page. The 'Trusted Software Vendors' area can be opened by navigating to Defense+ Tasks > Computer Security Policy > Trusted Software Vendors. 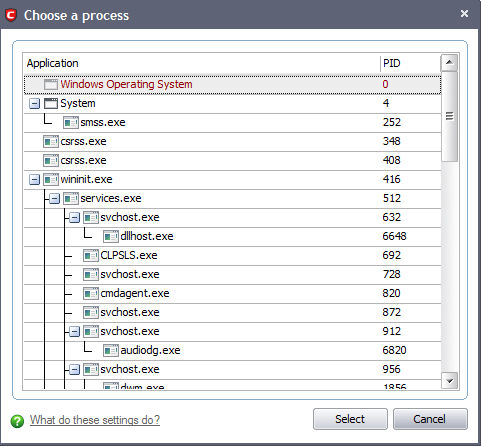 One way of telling whether an executable file has been digitally signed is checking the properties of the .exe file in question. For example, the main program executable for Comodo Internet Security is called 'cfp.exe' and has been digitally signed. Browse to the (default) installation directory of Comodo Internet Security. Right click on the file cfp.exe. Select 'Properties' from the menu. Click the tab 'Digital Signatures (if there is no such tab then the software has not been signed). It should be noted that the example above is a special case in that Comodo, as creator of 'cfp.exe', is both the signer of the software and, as a trusted CA, it is also the counter-signer (see the 'Countersignatures' box). In the vast majority of cases, the signer or the certificate (the vendor) and the counter-signer (the Trusted CA) are different. See this example for more details. Click the add button on the right hand side and select 'Read from a signed executable...'. Browse to the location of the executable your local drive. 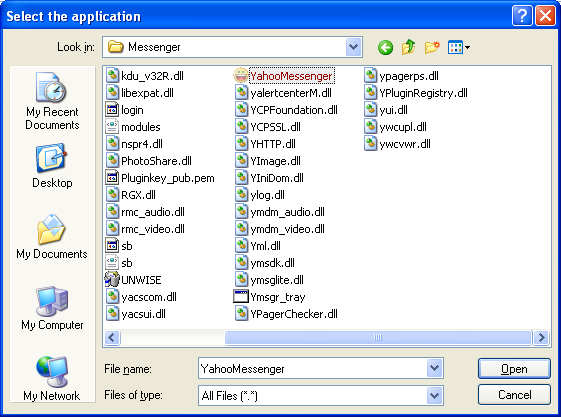 In the example below, we are adding the executable 'YahooMessenger.exe'. 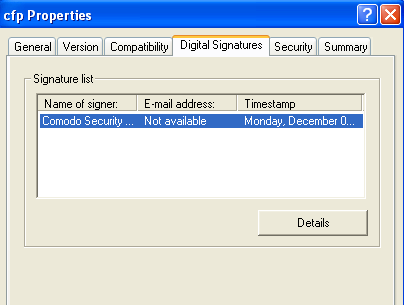 In the example above, Comodo Internet Security was able to verify and trust the vendor signature on YahooMessenger.exe because it had been counter-signed by the trusted CA 'Verisign'. The software signer 'Yahoo! Inc' is now a Trusted Software Vendor and is added to the list. All future software that is signed by the vendor 'Yahoo! Inc' is automatically added to the Comodo Trusted Vendor list. Select the signed executable that you want to trust and click the 'Select' button. 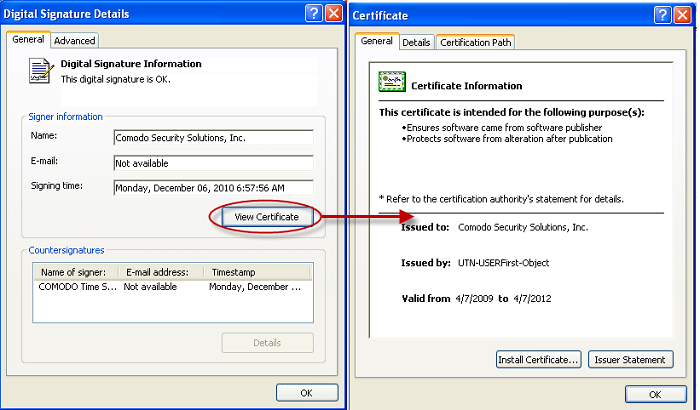 Comodo Internet Security performs the same certificate check as described above. 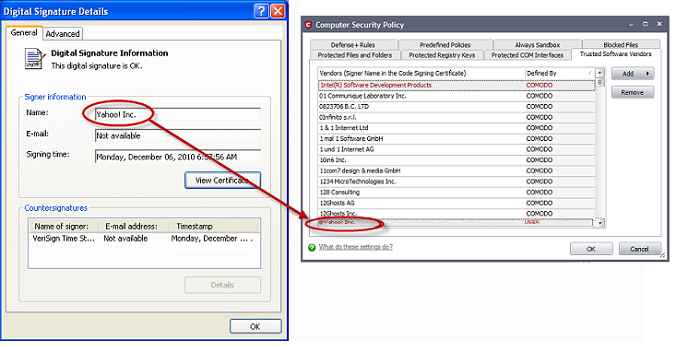 If Comodo Internet Security cannot verify that the software certificate is signed by a Trusted CA then it does not add the software vendor to the list of 'My Trusted Vendors'. In this case, you can see the following error message. User defined trusted software vendors - As the name suggests, these are added by the user via one of the two methods outlined earlier. These vendors can be removed by the user by selecting and clicking the 'Remove' button. Comodo defined trusted software vendors - These are the vendors that Comodo, in it's capacity as a Trusted CA, has independently validated as legitimate companies. If the user needs to remove any of these vendors from the list, it can be done by selecting the vendor, clicking 'Remove' and restarting the system. Please note that the removal will take effect only on restarting the system. 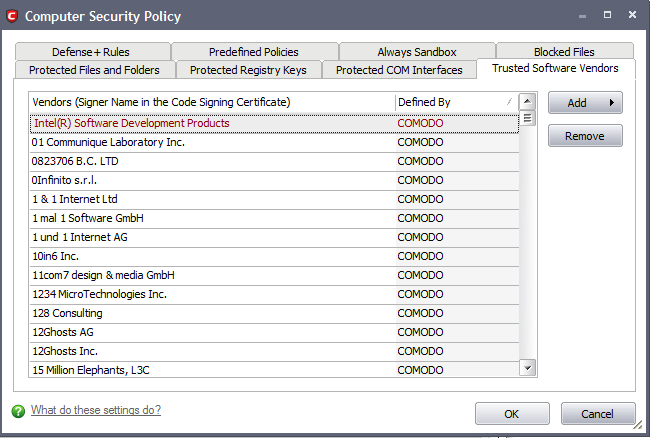 Software vendors can have their software added to the default Trusted Vendor List that is shipped with Comodo Internet Security. This service is free of cost and is also open to vendors that have used code signing certificates from any Certificate Authority. Upon adding the software to the Trusted Vendor list, CIS automatically trusts the software and does not generate any warnings or alerts on installation or use of the software. before adding it to the default Trusted Vendor list of the next release of CIS. More details are available at http://internetsecurity.comodo.com/trustedvendor/overview.php.